Very special meeting today! We met Mike again, this time for an interview and a tour of Sandy Hook. Sandy Hook is a peninsula in the north of the Jersey Shore, close to New York. In this former military base, now a Federal Park, there has been very little tourism or urban development. 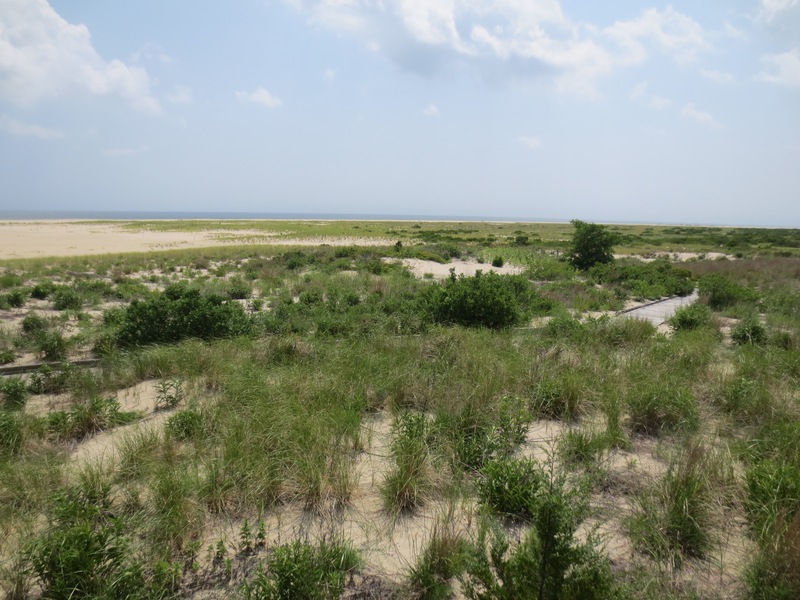 Sandy Hook holds all the coastal landscapes that can be found in the wide surroundings: Beaches and bays with Horseshoe crabs, dunes with beautiful dune vegetation, birds and other wildlife, tidal dune ponds, inlets and marshes filled with fish. There is a direct ferry from Manhattan, so next time you’re in New York, be sure to check it out! 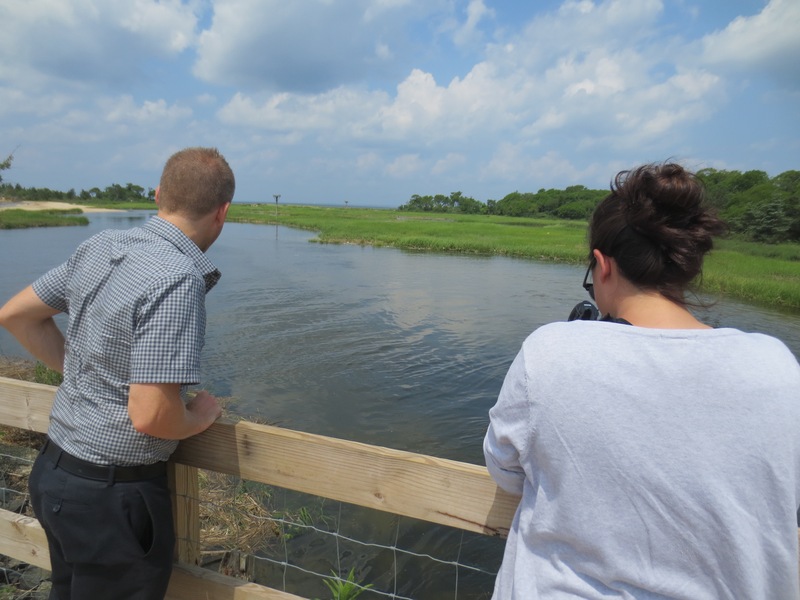 Mike Schwebel works at both the New Jersey Sea Grant and as a community resilience and climate adaptation expert at the Monmouth University. In the beautiful setting of Fort Hancock, we got to talk to him about the role of communities in the rebuilding process after Sandy. How aware are these communities of the flood risks and how do they act on it? Are they willing to give some things up, or even retreat from flood prone areas? Or should we not even consider this option? Overall, Mike has a very positive outlook on the future of New Jersey after Sandy; of course there is a long way to go, but a lot of steps in the right direction have been made.